ATL PBA brings you the compelling documentary, "This Is Where I’m From: The Transformation of Tip Harris." Emmy-award winning journalist and "Closer Look" host Rose Scott joins rapper, actor and activist T.I. 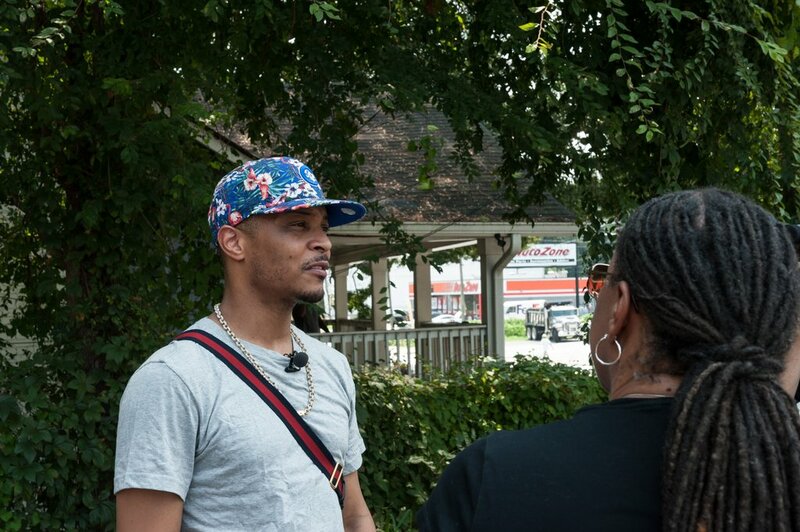 (also known as Tip Harris) for an exclusive look of T.I’s mission to redevelop and revitalize the neighborhood he grew up in, known as Bankhead. Rose Scott and T.I. take viewers on a ride through the neighborhood, in a behind the scenes look at his revitalization efforts that come at a time when many of Atlanta’s neighborhoods are drastically changing as a result of development and gentrification. The artist is stepping out of the spotlight and into the role of an urban developer. Beyond the beats and lyrics, T.I. opens up about his journey growing up in one of Atlanta’s most economically challenged areas, and how his rise to stardom now allows him to give back to the community he deeply cares about.